Mr. Fahad Mohamad Al Muqbil, graduated in 1994 from King Abdulaziz Military Academy, a formation that helped shape his pragmatic and rational thinking and aided in the development of his solid strategizing capabilities. Mr. Al Muqbil worked in the government sector for a period of 7 years during which he began trading on the Saudi market; an interest that gave him a clear perspective of the most important investments activities within the Saudi market. In 2002, he moved into the private sector and started his own business in Real Estate Investment, Industrial Planning, as well as Shopping Malls, Leisure and the development of Entertainment Centers. He then moved to open Riyadh Gallery in 2008, developed in collaboration with other partners, and widely considered to be one of the biggest and most successful malls in Riyadh, and a landmark in the capital from a design perspective. He established Fahad Al Muqbil Group in line with other companies such as Al Manakha, Assater Entertainment, Afaq Al Ared and Sama Coffee. In 2010, he founded Wabel Al Arabia for Investment Company, focusing on real estate, retail and hospitality development as well as entertainment and leisure centers. In 2012, he launched Kayannat Real estate with other partners. Additionally, in the year 2013, Akeed for Commercial and Real Estate Marketing was established. In view of his strong presence in the Saudi market and his drive for growth, Mr. Al Muqbil has obtained exclusivity agreements for world renowned F&B, coffee shops and general investment brands and cemented alliance agreements with multiple retail companies in the Kingdom of Saudi Arabia such as Safola Group (Panda), IKEA, Dar Al Bandar Group, Al Olayan Company, Lulu group, Kamal Jamjoum group and Alshaya Retail. 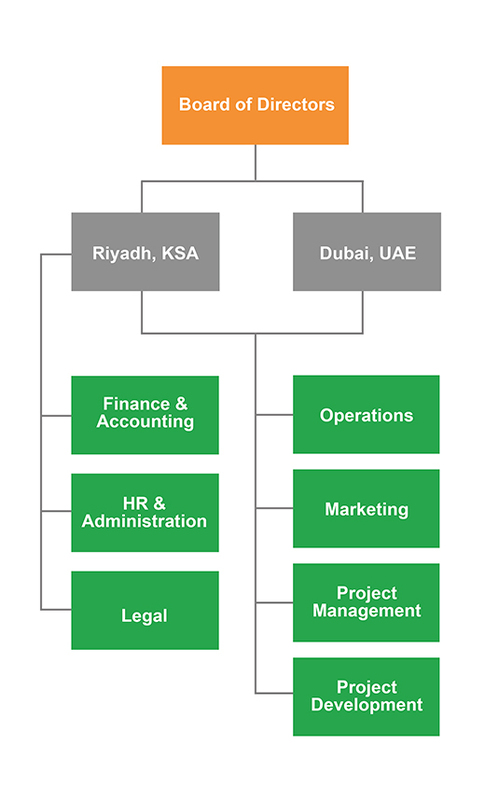 Majoring in Finance Management, Mr. Al Rugaib graduated with a Bachelor degree in 2002 from King Saud University. Not content with his already extensive knowledge, he participated in multiple training programs to further develop and strengthen his strategic skills. In 2000, Mr. Al Rugaib joined Riyadh Sahara Mall as the designated employee responsible for Administrative Affairs. In 2002, he grew to become a full-fledged member of the Executive Board. In 2008, he claimed his seat as the Managing Director of Al Rugaib Holding Company, in addition to being a member of the Board of Directors. 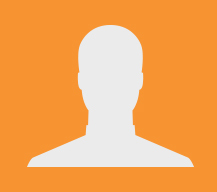 He is currently a board member of several subsidiaries within the company. He expertise also landed him a seat on the Board of Directors for the Saudi Transport & Investment Company in 2013. In 2013, Mr. Ziad Al Rugaib joined Wabel Al Arabia as the Vice Chairman working closely with the Chairman to oversee the development of mega sized projects in Riyadh. Mr. Mohammed Al Nemer is the founder and chief executive of Morood Investment Company and the Chairman of Morood Group. Over the years Mr. Al Nemer amassed a wealth of experience in the field of investments, having successfully closed several major deals across various sectors in Saudi Arabia as well as on an International level. Prior to starting Morood Investment Company in 2012, Mr. Al Nemer gained financial experience in corporate banking at Saudi British Bank (an affiliate of HSBC Group). 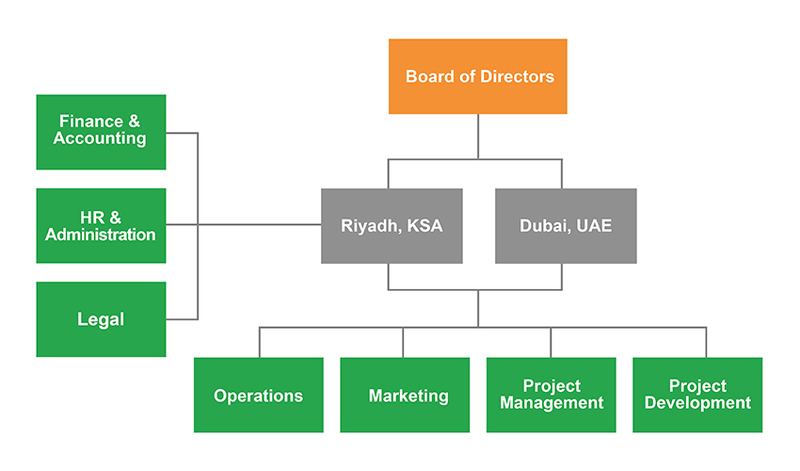 Currently, he serves on number of boards including, KAYANAT (Saudi-based commercial real estate company), WABEL (Saudi-based commercial real estate company), Dar Al Tanmiyat (Saudi-based real estate development company), Akeed (Saudi-based retail real estate management company), Al Nemer Holding Company (Saudi-based conglomerate), Asateer (Saudi-based family entertainment company), Palace (UK-based prime residential real estate company), SEEK (UK-based healthcare company), and Health Clinics Limited (UK-based healthcare company). Mr. Al Nemer was awarded a BA degree in Management Information Systems from King Fahad University of Petroleum and Minerals (Saudi Arabia) and M.Sc. in Management from Cass Business School (London). An enthusiastic entrepreneur and Board Member of M.A. Alabdulkarim & Co. Ltd., Mr. Alabdulkarim graduated from MIS with advanced studies in the fields of Project Planning, Investment and Management. He began his career with the Saudi Industrial Development Fund where he was directly involved with Managerial Committee responsible for review, and sanction of loans to various industry infrastructure developments. Taking interest in the family business, his concentration shifted towards the Retail sector where he introduced the company to foreign collaboration, ultimately, establishing ties with several leading international fashion brands, including an Italian brand that was successfully launched in Saudi Arabia to become the largest network in the globe after its home country. Additionally, he successfully promoted development of the company by creating its own labels to expand the store network. His leadership allowed for the pursuit of opportunities and expansion where he achieved a major growth of retail networks from 25 shops to 180 stores in a span of 5 years, covering the 2nd and 3rd tier cities of Saudi Arabia. Throughout his endeavors, he has acquired profound experience in retail via direct interaction and integration thru management of various developers and shopping malls by exchanging views on market strategy and negotiating retail spaces. He has successfully managed the restructuring programs of different company groups and currently presides the Board of Directors of Alabdulkarim Real Estate Company and the Alabdulkarim Retail Division. He is a strong believer of business etiquette with an uncanny ability to bring success via his professional approach and personal esteem. Upon his graduation from the University of Petroleum & Minerals, he worked with the Municipality of Riyadh as the Division Head of Studies & Design of Roads and Drainage Networks. In 1992 he moved to work with Saudi Strategic Storage Program (SSSP) for the massive underground storage of refined oil products. In 2005, Mr. Al Mogbel had already began dabbling in the field of Real Estate and worked with major companies in the region as the charge responsible for the Marketing & Development of large lands. He has managed to secure many successful ventures worth more than SR 1 billion with many leading Real Estate companies such as Saudi Real Estate Co. (AKARIA), Al-Riyadh Development Co, Savola Group, Bin Saidan Real Estate Co., Abdulaziz Al-Mosa Real Estate Co. and Al-Rwaite Real Estate Co., to name a few. In 2009, he handled the Project Management of Developments for Ministry of Interior’s Airbase Project. He finally joined Wabel Al Arabia in 2014 and is currently working as CEO of Wabel Al Arabia Inv. Co.
Tala Kammourieh joined in 2014 as current CEO of Dubai Office charged with Development and Marketing. She is currently responsible for overseeing the design and development of all projects, as well as heading the operations of the Dubai office in addition to operations and marketing of Al Makan Malls in the Kingdom of Saudi Arabia. In 2008, after completing her Executive MBA, Tala joined one of the most eminent developers in the GCC and has worked on the design and development of some of the most renowned developments and largest malls in the region, adding to her extensive architectural experience. After graduating from the American University of Beirut with a Bachelors in Architecture, and working for one of the world’s leading international consultancies. She’s gained vast experience handling various international projects across a wide range of sectors including large scale developments, mixed-use complexes, prestigious residential and commercial compounds, airport facilities and buildings, towers, hotels and various types of structures. With a Bachelors in Civil Engineering from King Saud University, Saad Saleh Al Suhail has accumulated over twenty-four years of experience in management, construction and operations. In addition to being a member of the Saudi Council of Engineers, Mr. Saleh also has a seat on the Municipal Council for the City Aadariyah. He joined Wabel Al Arabia in 2012 as Director of the Projects Department. Prior to joining Wabel, Mr. Al Suhail worked as the Director of Supervisions and Implementations with the Technical and Vocational Training Corporation (TVTC) for seven years managing large scale projects including industrial institutes, colleges, academies and in infrastructure projects. In 1990 he joined Saudi Arabia National Guard, as a site engineer before elevating to the position of Project Manager in 1997. In addition to attending many specialized engineering and management courses and seminars inside and outside Saudi Arabia, he also holds a prestigious Green Belt Six Sigma Certification. Mr. Bader Hassan AL Othman is a seasoned and successful leader with a track record of producing, presenting and managing the implementation of innovative business solutions. Highly motivated with a proven ability to develop people and commercialize all aspects of a business. Experienced in converting every opportunity into success and of driving profit and growth. Well networked and highly successful in implementing business process improvements, defining company direction, achieving goals, change and optimizing business procedures. Keen to find a challenging position with a successful and ambitious company that offers opportunities for career development and advancement. In 2006 after completing his Bachelor Degree in Mechanical Engineering from King Saud University, Riyadh – KSA he moved to work with Nudrah Industrial Co, Riyadh - KSA and Dubai - UAE. In 2011 With a Master's Degree in Project Management from Queensland University of Technology, Brisbane, Australia, Mr. Bader Hassan AL Othman joined the Saudi Industrial Property Authority – MODON where he was designated as the Business Development Manager. After working for Riyadh International Catering Company (McDonald's), In 2016 Mr. Bader Hassan AL Othman joined Wabel Al Arabia as Executive vice president.